Bel Leong-Hong – is the founder, president and CEO of Knowledge Advantage Inc. (KAI), a woman-owned small business. KAI specializes in information technology (IT), knowledge management, and cybersecurity solutions, leadership development, change management, and program management support to government agencies, and private sector companies. Prior to forming her business, she spent 30 years in public service, moving into the private sector from the U.S. Department of Defense (DoD), where she served as a career Deputy Assistant Secretary of Defense. 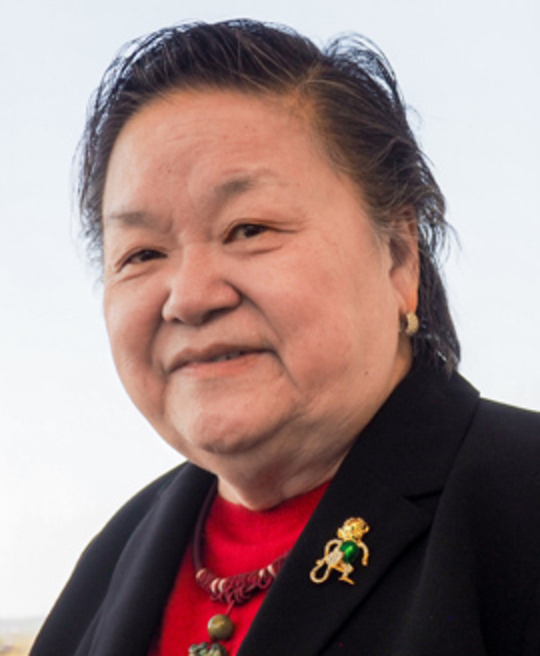 Mrs. Leong-Hong established and ran the first department-wide Data Administration function for the DoD, created the first Center of Software Excellence in DISA, created and ran the largest business process improvement effort across the DoD. Mrs. Leong-Hong is a Democratic activist. She has served as the elected Chair of the Democratic National Committee (DNC) AAPI Caucus, and is a member of the DNC Executive Committee. Since 2005, she has been actively organizing and engaging AAPIs across the country to increase their empowerment and participation in the political process. She is also the co-chair of the AAPI Leadership Council of the DNC/NFC. She is a Trustee of the MD Democratic Party, a member of the Executive Committee of the MD Dem Party. She is a member of a number of AAPI Community and political organizations. She was an Obama Administration appointee to the Board of Visitors of the National Defense University. Professionally, she sits on a number of boards and commissions including, Chair of the Subcommittee of Economic Development and Innovation of the MD Cybersecurity Council, CO-Chair for the Cybersecurity Workforce Committee; she was also appointed to the Governor’s Workforce Investment Board (GWIB); the University of Maryland Medical System Board, and the BOV of the Clark School of Engineering at Univ of Maryland, to name a few. She also served as President of OCA/DC and in the Executive Committee of OCA National. A mathematician and computer scientist by training, she holds degrees from Hunter College and American University, and certificates from The Kennedy School of Government at Harvard.